The airline you choose to fly with can have a major impact on your overall flight experience. Even though all airlines seem to be similar, every airline has differences that makes it unique: simple things, such as their approach to customer service, the size and number of flights they offer, how they handle issues that arise during air travel and pricing and seat options, all play a role in determining how Canadians perceive them. According to a recent public opinion poll by the Forum Poll, Porter Airlines was found to have the highest rate of satisfaction among Canadian airlines. “When it comes to delighting its customers, Porter is the little airline that could, despite its cramped base at Billy Bishop Airport, and the fact it flies only turboprops. Moreover, Porter has been consolidating its position atop the customer satisfaction leaderboard since we started tracking Canada’s carriers,” says Forum Research president, Dr. Lorne Bozinoff. 89% of those polled were satisfied with the airline’s service and 67% were very satisfied, among the 8% polled who had flown with the airline. The average score for Porter is 3.5 out of 4.0. 87% of people polled were satisfied with airline services and 55% said they were very satisfied. The average score for Westjet is 3.4 out of 4.0. 80% were satisfied with their experience and 44% were very satisfied. The average score for Air Transat is 3.2 out of 4.0. 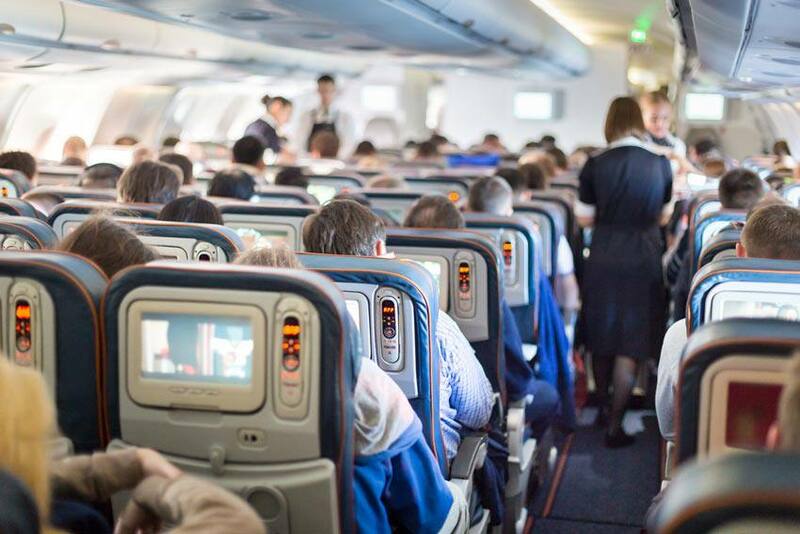 The airline with the highest level of ridership scores near the bottom of the poll: 77% polled were satisfied and 38% were very satisfied, for a score of 3.0 out of 4.0. 70% of customers said they were satisfied with their experience and 37% were very satisfied, for a final score of 2.9 out of 4.0. How do these numbers compare to the industry average? The industry average is 3.3 out of 4.0, meaning that only Porter and Westjet ranked above the average. What is it about Porter that had so many people satisfied with their services? Perhaps it’s their best on-time record of any Canadian airline, simple airport check-in, free Wi-Fi access, snacks and drinks, spacious seating or their overall approach to the flying experience that is somewhat of a throwback to the way flying used to be. Regardless of which airline you choose to fly, it’s important that you pack your travel insurance in your carry-on bag. Travel insurance provides you with protection from a variety of common travel issues, including trip interruption, flight delays and cancellations, lost baggage and much more. Contact Blue Cross today to get a free travel insurance quote and travel worry free on your next trip.